These dogs contain paper fortune slips. They have a hole on their underside into which the fortune paper slips are inserted. 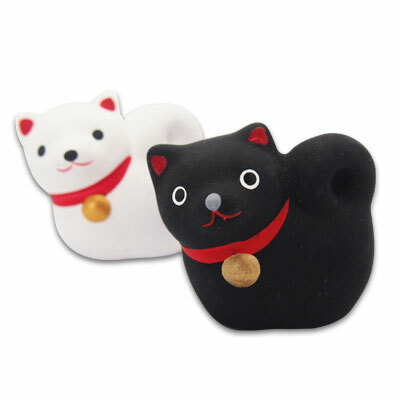 You can get them at Niutsuhime-jinja shrine in in Wakayama prefecture. a god, in the form of a hunter with a black dog and white dog appeared in front of him and showed him the way. If you get one of these dogs, it is believed they will show you the right path in life.